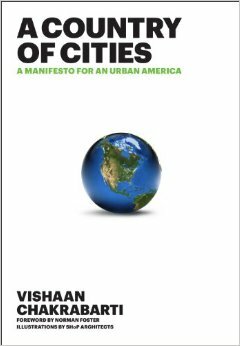 In A Country of Cities, Vishaan Chakrabarti argues that well-designed cities are the key to solving America's great national challenges: environmental degradation, unsustainable consumption, economic stagnation, rising public health costs and decreased social mobility. If we develop them wisely in the future, our cities can be the force leading us into a new era of progressive and prosperous stewardship of our nation. Through clear, accessible prose and a distinct visual language of original illustrations created by SHoP Architects, Chakrabarti delivers a wealth of information about cities, suburbs and exurbs, looking at how they developed across the 50 states and their roles in prosperity and globalization, sustainability and resilience, and heath and joy. Vishaan Chakrabarti, AIA, is the director of Columbia University’s Center for Urban Real Estate (CURE). An architect and planner, Chakrabarti has worked in both the public and private sectors: as a director at the New York City Planning Commission; an associate partner at Skidmore, Owings & Merrill; a transportation planner for the Port Authority of New York and New Jersey and as an executive at the Related Companies. In March 2012, Chakrabarti became a partner at SHoP Architects.